Neatly Feed Wires Away from Desktops & Work Surfaces. 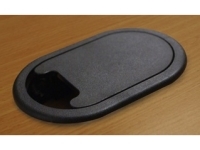 Perfect for Desks, Workstations, Entertainment Centers etc. 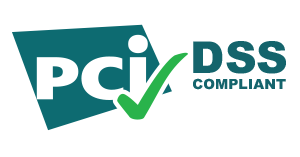 Don't let your office or home desk succumb to the disarray that often befalls work space, as your desk disappears beneath hopeless tangles of wires from your components and equipment. 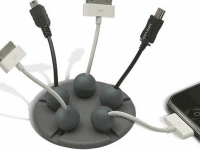 Thankfully, these situations can be remedied, with the Round Desk Grommets. 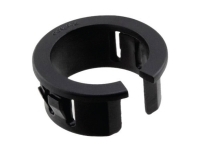 These models are designed to optimally route your various cables conveniently and discreetly, keeping them out of sight yet easily reachable. 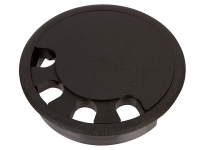 Plastic desk grommets are crafted from durable black plastic that will withstand daily wear on the work surface. 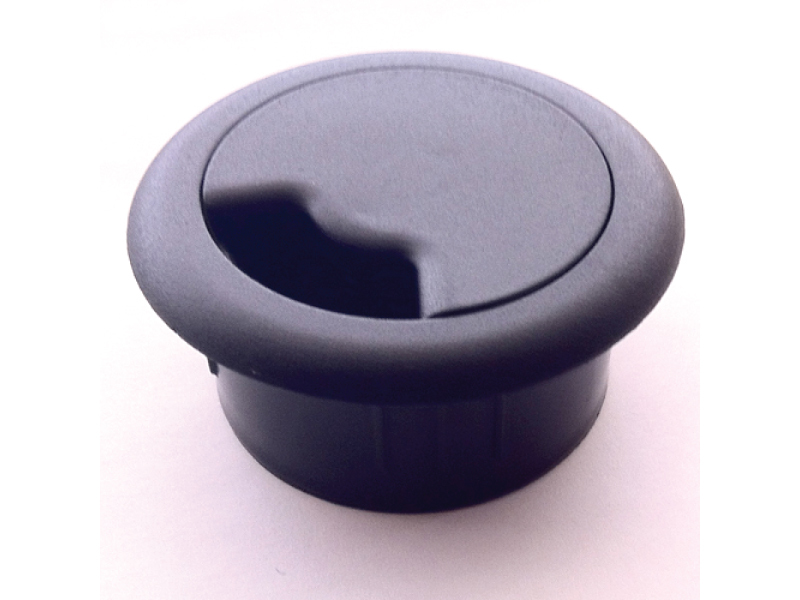 Round Plastic grommets have swivel lids, providing security to the grommet and preventing items on the work surface from falling in. 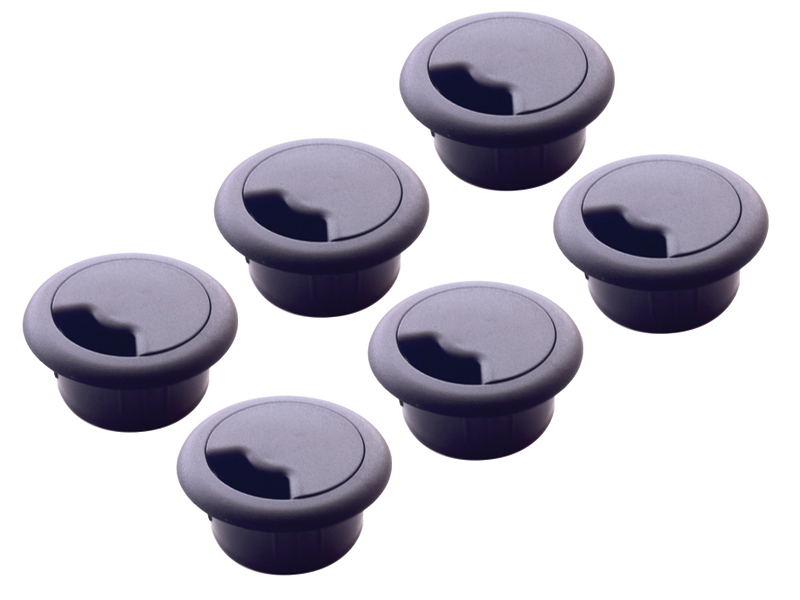 The grommets are very easy to install, and thanks to their discreet body size, require a small cut-hole while still holding many cords.